BBVA Compass (or Compass Bank) is one of the 25 largest banks in USA with 716 branch locations, and was previously a member of the S&P 500 Index and the Dow Jones Select Dividend Index. 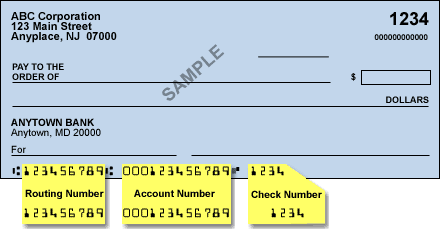 You can find routing number for BBVA Compass on the lower left corner of check of your checking or savings account. Routing number is a 9 digit bank code required for setting up direct deposits, initiating domestic wire transfers, electronic payments, check ordering and other electronic payments. Routing Numbers are also referred to as ABA Numbers, Transit Numbers, ACH Numbers. You can also use the following routing numbers bases on the location of the branch where your account was initially opened.